A Tale of Stone and Wood (2009) explores cinema with regard to constructions of history, national identity and collective memory. It takes its starting point in a small village in the Rhodopi Mountains (Bulgaria), which after it was deserted due to restructuring during the Communist regime, was rediscovered by the film industry in the 1970s. Numerous films have been shot there between 1977 and present day. The old, quaint architecture creates a national romantic backdrop and its geography refers to specific events in Bulgarian/Balkan history. 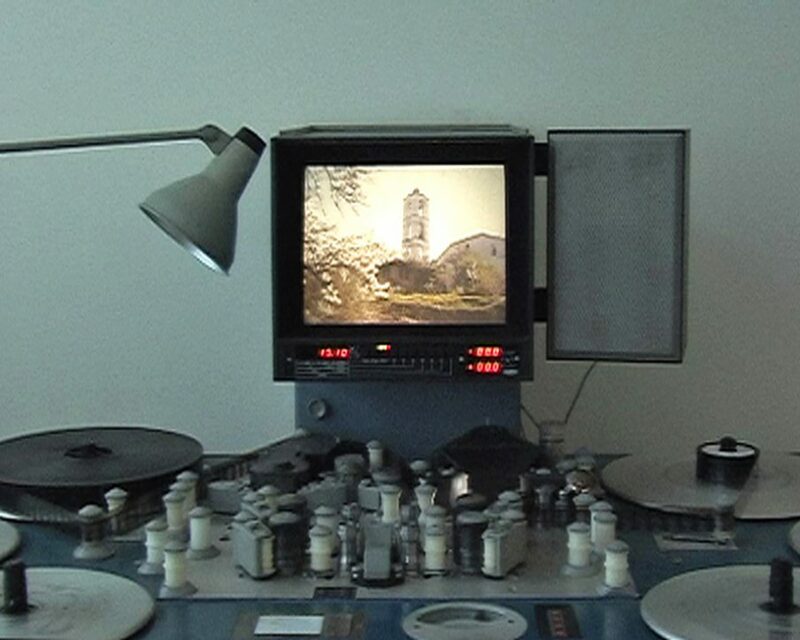 The work is a montage consisting of collected films shot in the village, combined with footage of the place as well as interviews with Bulgarians of different demographics re-narrating the films, relating it to their own biography as well as the general history. Memory and translation in regards to interpretation are important factors in this work, which is less about a concrete geographical location and more about the ingredients of an after-image. Dvd, 21’05 min. English/Bulgarian/German, English subtitles.